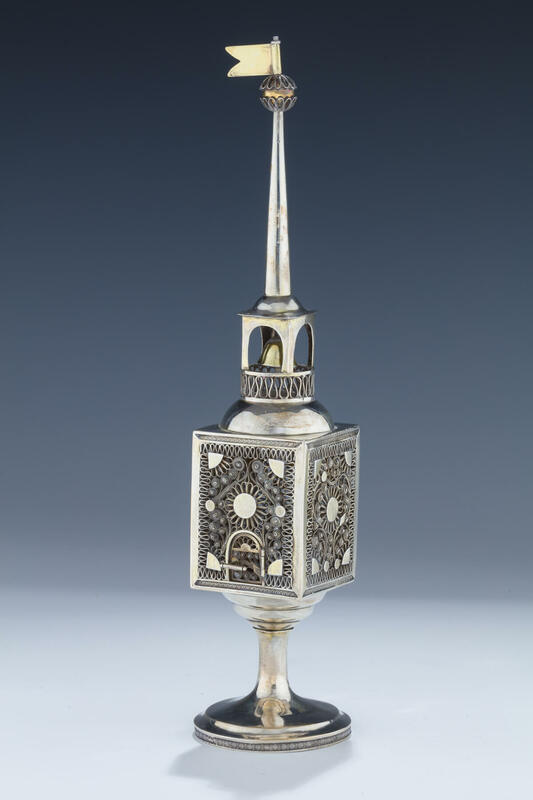 A LARGE SILVER SPICE CONTAINER. Galicia, c. 1820. On large round base with stem that connects to a very large filigree body. Upper steeple fitted with a flag and bell. 11.7” tall.